Mozilla sent Version 37.0.2 to the release channel. The update includes one (1) High security update and includes two bug fixes. It is important to also note that this release will be the last Oracle JDK 7 publicly available update. For more information, and details on how to receive longer term support for Oracle JDK 7, please see the Oracle Java SE Support Roadmap. Oracle has long included pre-checked options with the updates. Although most people do not need Java on their computer, there are some programs and games that require Java. 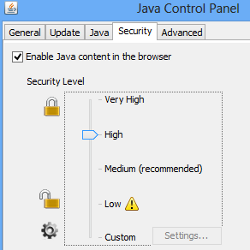 In the event you need to continue using Java, How-to Geek discovered a little-known and unpublicized option in the Java Control Panel to suppress the offers for the pre-checked unwanted extras. Adobe has released Version 17.0.0.169 of Adobe Flash Player and Adobe AIR 17.0.0.144 for Windows and Macintosh. Version 11.2.202.457 has been released for Linux. The Extended Release Version is 13.0.0.281. 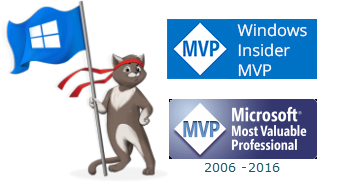 Microsoft released fourteen (11) bulletins. Four (4) bulletins are identified as Critical and the remaining seven (7) are rated Important in severity. The updates address vulnerabilities in Microsoft Windows, Microsoft Office, Internet Explorer, Microsoft Server Software, Productivity Software and .NET Framework. Details about the CVEs can be found in the below-referenced TechNet Security Bulletin. As part of the Internet Explorer update released today, SSL 3.0 has been disabled by default in Internet Explorer 11. The updated version includes the Win32/Saluchtra, Win32/Dexter, Win32/Unskal and Win32/IeEnablerCby malware families. Additional details ave available in the MMPC blog post. WinPatrol Version 33.5.2015.3 was released with several fixes and improvements. Update: Version 37.0 was withdrawn from the release channel due to users experiencing start-up crashes with certain graphics hardware and third party software. Version 37.0.1 has been released to fix that issue as well as disabling HTTP/2 AltSvc and including one (1) critical and one (1) high security update. Mozilla sent Firefox Version 37.0 to the release channel. The update does not include any security fixes. Correction: Although not listed in the Release Notes, it appears that Version 37.0 does indeed include security fixes: four (4) critical, two (2) high, five (5) moderate and one (1) low. 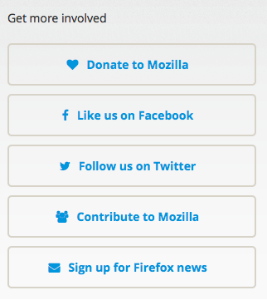 Personally, this seems like a whole lot of nonsense to me and a wasted effort on the part of Mozilla.org to increase its following. It is nonsense like that that convinces me further that I made the right decision to switch to Pale Moon. Click "I'll be careful, I promise!" when presented with the warning.